The Microsoft Lumia 540 Dual SIM was officially announced by the company as yet another affordable smartphone in their portfolio. 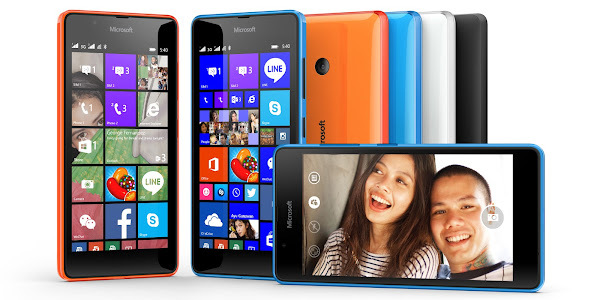 The handset comes with Windows Phone 8.1 coupled with the most recent Lumia Denim update. It will be eligible for an upgrade to Windows 10 later this year. The Nokia Lumia 540 Dual SIM features a 5 inch display with a 720 x 1280 pixel resolution and 8GB of internal storage which can be expanded by up to 128GB of microSD. Microsoft is also adding in 30GB of cloud storage on OneDrive, so you can easily manage and share files between your PC and phones. The handset comes with an 8MP rear camera which has LED flash and autofocus. You also get a 5MP front facing camera with a wide-angle lens - perfect for selfies. The Lumia 540 is powered by a 1.2GHz quad-core Snapdragon 200 processor, which should run Windows Phone (and Windows 10) smoothly. A generous 2200 mAh battery is also housed inside to keep the device running. The Lumia 540 Dual SIM will retail for $149 and will be available in a handful of regions - India, the Middle East, Africa, and in the Asia-Pacific region, as well as Italy sometime in early May 2015. It will be available in a range of colors the Lumia line is known for - "glossy layered" cyan, orange, white, and black.